Coda Octopus Successfully Integrates its recently launched 3D Sonar Echoscope4G® Surface on ASV :: Coda Octopus Products Ltd.
Coda Octopus has recently partnered with AVIC IET, an offshore wind contractor in China, to integrate the Echoscope4G® Surface real-time 3D sonar on a state-of-the-art Autonomous Surface Vehicle (ASV). 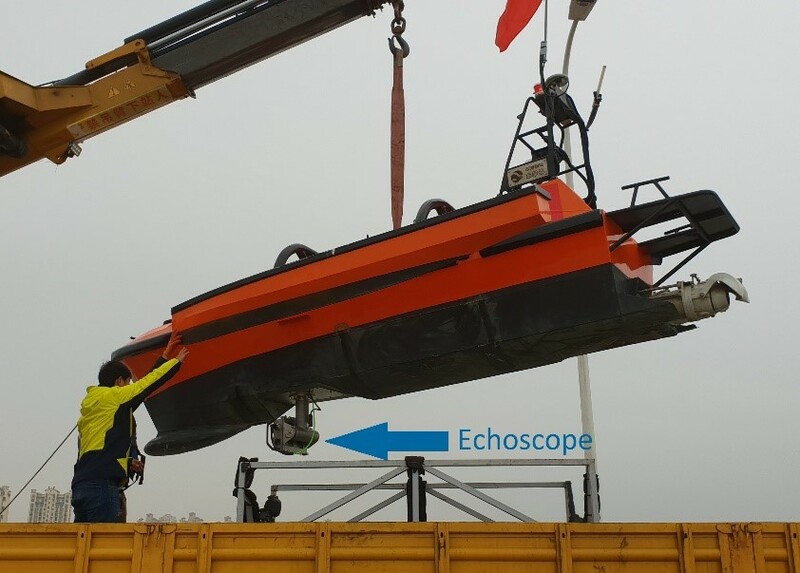 For the first time, AVIC IET will be able to autonomously control their vehicle and the Echoscope4G Surface with its integrated Pan and Tilt rotator (IPT), to survey subsea structures, monopiles, and cables on offshore wind farms. Offshore wind energy is a rapidly expanding industry with China leading on investments in this market. BloombergNEF recently stated that in 2018 China invested around 11.4 billion USD in 13 Offshore wind energy projects in China. Our real-time 3D sonar solutions have revolutionized the offshore wind market around the world. The Echoscope® series is the key sensor for almost all ongoing offshore wind projects where it is used for the real-time visualization and tracking of a number of tasks including: cable pull-in operations, touch down point monitoring and performing the pre and post installation survey and remediation work. Coda Octopus is committed to our customers’ investment in renewable energies, as it continues to make offshore wind farm installations and inspections simpler, safer, and more efficient. 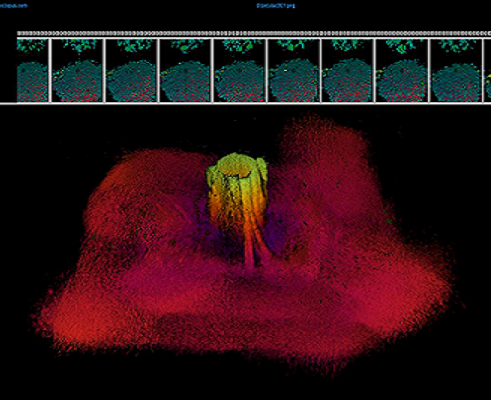 Coming soon, our new Echoscope4G® C500 Surface which will be our lightest, smallest and most competitively priced real-time 3D volumetric sonars yet. The C500 Surface specifically targeted to the autonomous surface vehicle market. 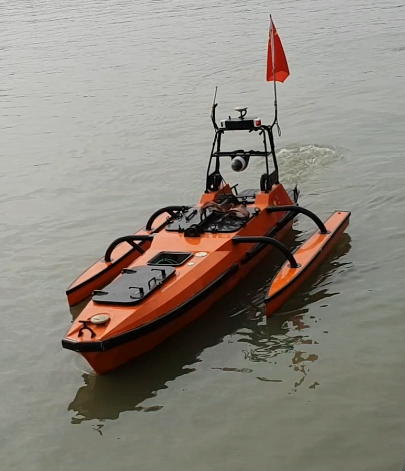 These are part of our continued investment into automating offshore operations which include our recently released Survey Engine® Automatic Object Detection Package (“SEADP”) that automatically identifies, measures, and records boulders on the seafloor, significantly streamlining initial geophysical site investigations and typically used on wind farm cable route and site surveys. As the offshore wind market continues to grow, we continue to produce innovative products that will simplify and automate even the most challenging and time consuming tasks for our customers in subsea industries. For more information on Coda Octopus solutions, please visit our website or contact our sales team.